Completely stock (except wheels) NA Miata goes racing! 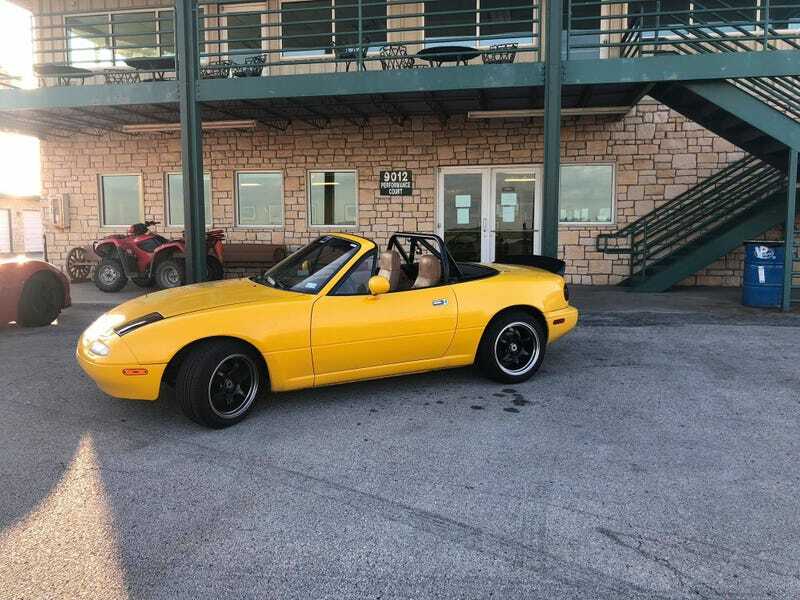 I spent 4 months rebuilding this Miata to running and driving condition and finally got to take it to Motorsport Ranch for an SCCA Track Night. I didn’t have time to change the tires to something more grippy so I ran the 380TW all seasons it came with. Still ran a 1:38.29! Also spun entering the first corner of the next lap.